With less than a month left until the release of Deadpool 2, 20th Century Fox has been putting out plenty of promotions to market the upcoming sequel. The first Deadpool movie not only became the most successful X-Men movie when it was released in 2016, but it also became the most successful R-rated movie of all time, so there is a lot at stake for FOX here. The fourth and final trailer for Deadpool released today, promoting the movie's ticket sales opening, and all in all, it might be the best trailer yet. 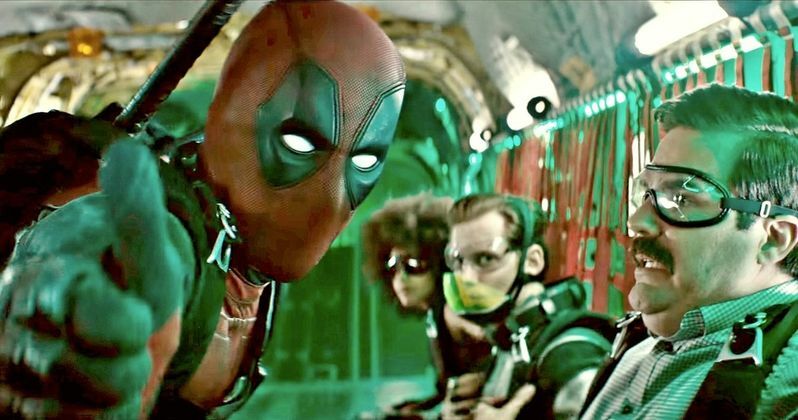 While the last trailer teased the assembly of the X-Force, Deadpool's team of anti-heroes and mercenaries from the comics, the latest trailer actually puts the spotlight on a number of the team's specific members. Characters like Shatterstar and Bedlam, played by Terry Crews, received an introduction, and Domino, one of the most popular X-Force members from the comics, finally received quite a bit of screen time in this trailer. Her moments teased that she will be one of the most interesting characters to watch, as it looks as though she will have a lot of impressive action sequences that will keep audiences at the edge of their seats. The trailer also introduced one member of the X-Force no one saw coming: Peter. Peter was a non-powered, middle-aged man who first appeared in a TV Spot earlier this week that we thought was a one-off character. However, in this new trailer, Peter actually shows up alongside the rest of the team, showing that his inclusion was more than just a joke. What really sold the trailer wasn't the characters, though, but the comedy. The entire trailer promised Deadpool's iconic humor that has made his character so popular for decades in the comics, making fun of stuff both in their movie universe and outside of it. The first out-of-universe reference Deadpool makes is referring to the movie's villain Cable as "Thanos," who is the main villain of Avengers: Infinity War, also played by Josh Brolin. The best jab of the trailer, though, is Deadpool's reference to the DCEU. After Cable makes a frightening, sadistic threat to Deadpool, Deadpool checks to make sure he's not actually "from the DC Universe" because of how dark he is. This was a hilarious jab that is sure to make a lot of Marvel fans happy that we didn't even think Deadpool could legally make. The final aspect that really sells the trailer is the amount of action it shows. Though the character Deadpool may be best known for his comedy, the movie is still set as a superhero flick. Because of this, action and explosions are essential, and the trailer seems to prove that this is something that will be delivered. Plenty of slow motion shots, car chases, and even sequences of sky diving are promoted in the latest trailer, which is sure to keep the movie interesting throughout. While Avengers: Infinity War may be the most anticipated Marvel movie of the next upcoming weeks, 20th Century Fox marketing is still managing to keep Deadpool 2 on everyone's mind. If the movie is even half as good as the trailers have shown, Deadpool 2 may pan out to be the X-Men movie yet.